Everyone is going crazy for kale. 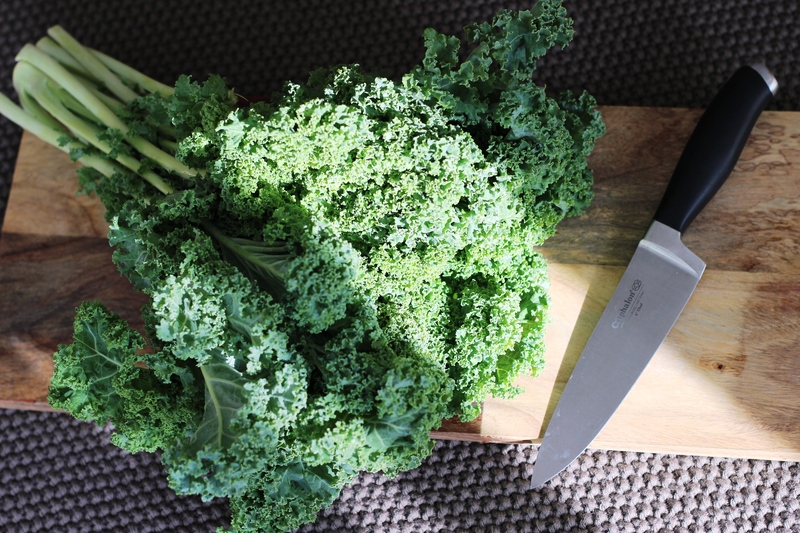 The leafy green is chock full of fibre, and according to Medical News Today, eating kale is beneficial for maintaining healthy skin, hair and strong bones, as well as helping with digestion and lowering the risk for heart disease. 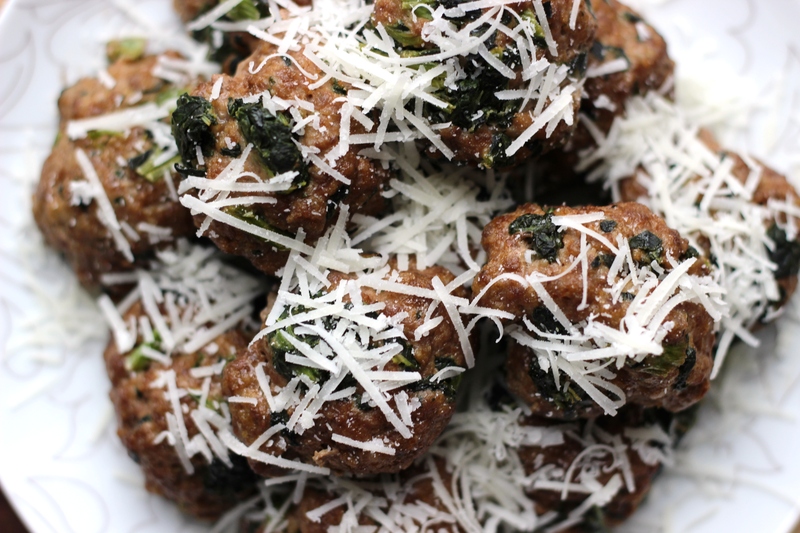 Adding kale to meatballs ups the nutrient content and adds vitamin B6, calcium, folate, vitamin E, vitamin B2, iron, magnesium and omega-3 fatty acids. 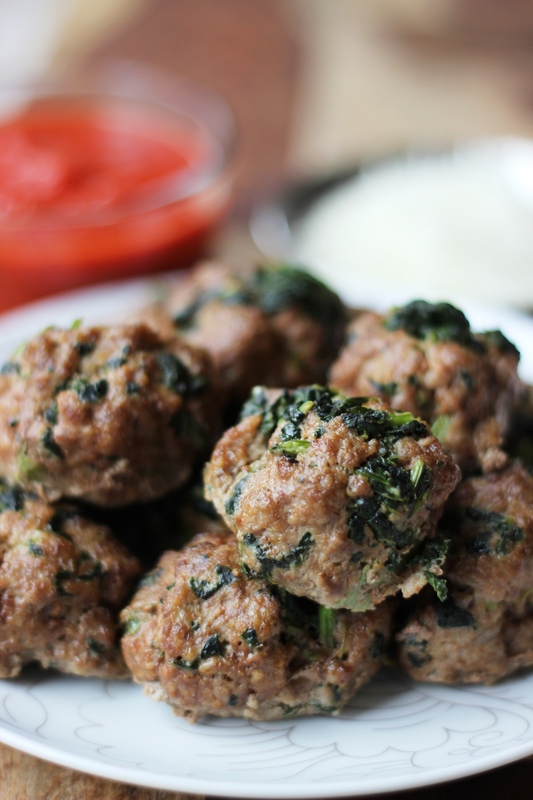 My mighty meatballs pack a healthier punch to their kale-free alternative. 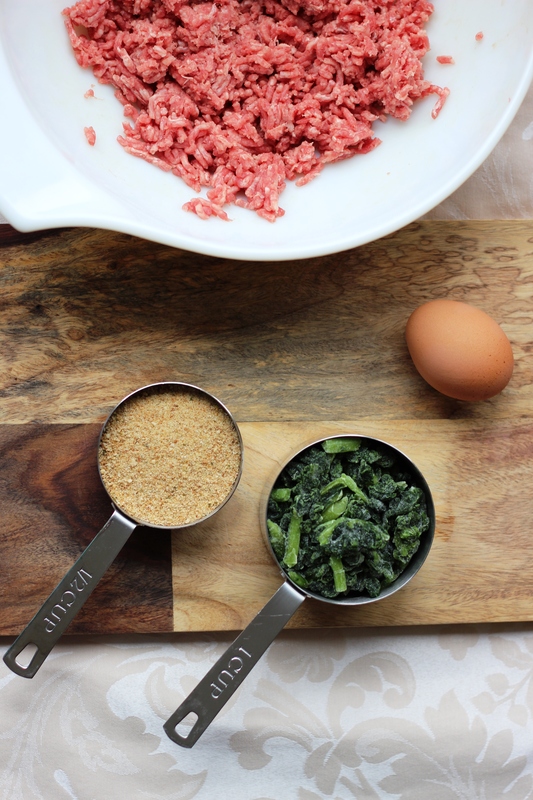 I start with a basic meatball recipe and jazz it up with chopped kale and some savoury Italian cheese and spices. You could buy fresh kale, wash it, chop it and add it to the meatball mixture (as I have in the past), and add your bread crumbs, Italian cheese and spices separately. But I like to do things the Pragma Mamma-way! When you are tight for time, use frozen, pre-chopped kale and pre-mixed Italian breadcrumbs and parmesan cheese. 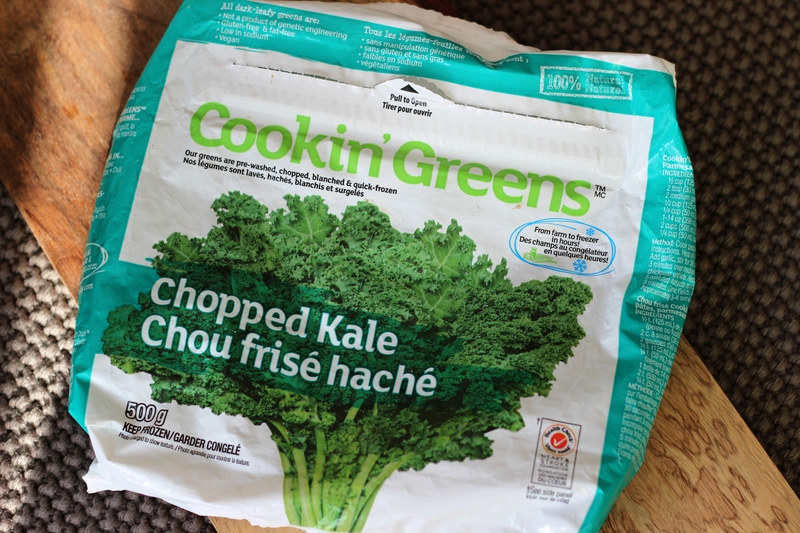 I like Cookin’ Greens frozen, chopped kale best. When I was commuting to/from my down town job, I needed to get in the door and get dinner on the table in a jiffy. Having the ingredients pre-made and pre-mixed really cut down on my prep time, enabling me to make these meatballs in a snap. You can also freeze the meatballs for a quick future dinner! 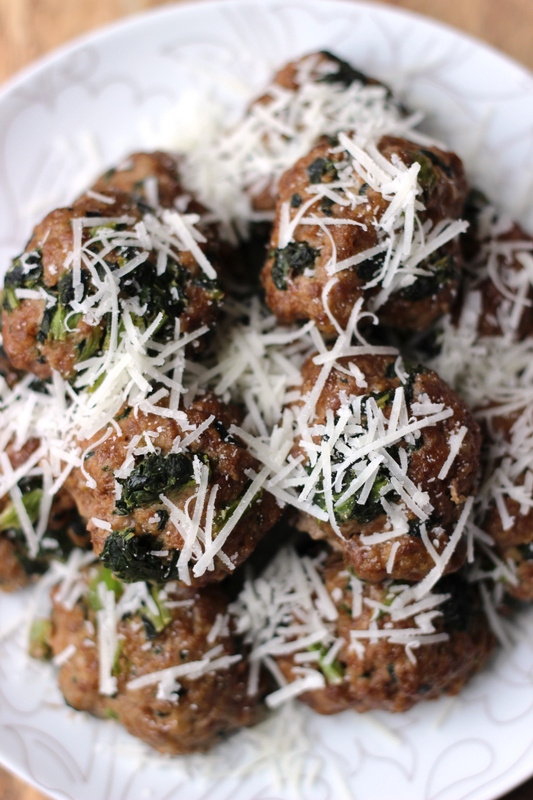 My Quick Italian Kale Meatballs are a favourite of both of my daughters. Adding milk makes them super moist and melt-in-your-mouth yummy. Even my super picky English husband will eat them! 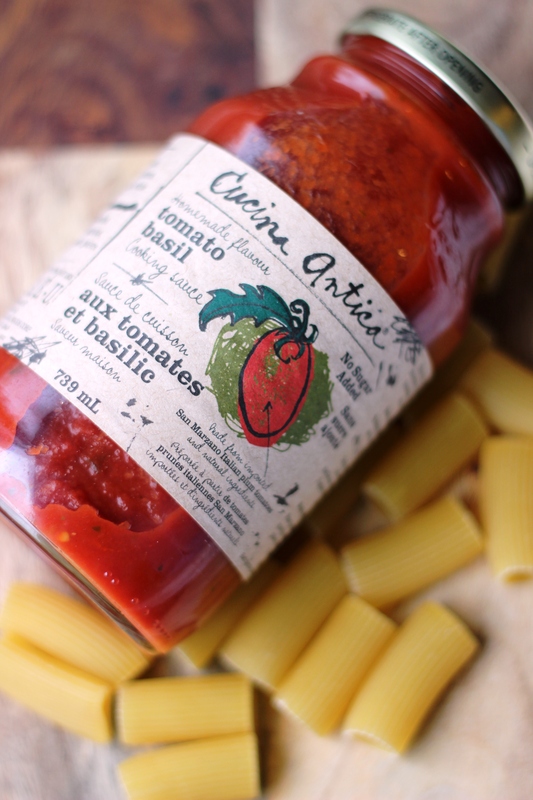 Topped with organic tomato sauce and fresh Romano lupa grated cheese and paired with pasta and veggies, this recipe will be a welcome addition to your family menu. You can also substitute the lean ground beef for lean ground chicken or ground turkey too. I hope you try and enjoy my mighty meatballs. They are super easy to make and a breeze to freeze! Let’s eat – andiamo a mangiare! This sound like a great way to get my kids to eat kale!! I keep getting kale in my Csa basket and making nothing but smoothies out of them! I love kale! I had never thought about putting it in a meatball though. Definitely adding this to my weekly menu. Kale meatballs, yes!! These look so good, thank you for sharing this healthy recipe! You are welcome 🙂 I hope your family enjoys them! Love the idea of adding a serving of veggies to meatballs! These looks so good! We just recently started eating kale and we love it! Thanks for giving us another recipe!